Gardens at Beachwalk! Short Term or Long term furnished rental. 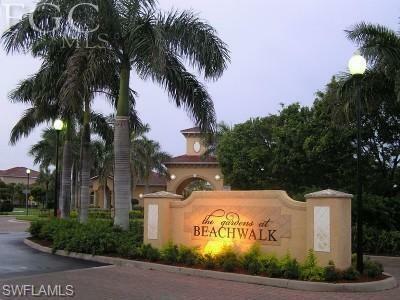 Very sought after community close to Sanibel and Ft Myers Beaches! January, March & April Available furnished for Season or longer if needed! Located behind Clubhouse by the pool. New Paint inside this adorable 1/1 Corner Unit with a Balcony. 3rd Floor Unit. Only Stairs away to your relaxation. concrete floors, lots of privacy. Close to Fort Myers and Sanibel Beaches, shopping, New fixtures and brand new Carpet! This Unit is ready for it's next Seasonal or Annual Tenant. NO PETS & NO SMOKING UNIT! Beautiful Clubhouse with Pool and hot tub. Well maintained community. Mostly Owners live here and are watching and maintaining their investment. They expect the same from the tenants. Unit comes with its own private storage unit. Unit can be rented furnished or unfurnished.